According to the Mortgage Bankers Association’s Weekly Applications Survey, refinance application demand slipped 2.0 percent last week but remains near three-year highs. The drop was matched by a 2.0 percent increase in purchase application demand, pushing purchase loan volume to the highest level since June. The Market Composite Index fell 1.2 percent from the previous week. Michael Fratantoni, MBA’s vice president of research and economics, said mortgage rates remain historically low, which benefits both prospective homebuyers and those seeking to refinance. According to the survey, the average contract interest rate on 30-year fixed-rate mortgages with conforming loan balances increased to 3.56 percent from 3.53 percent the week before. The survey covers 75 percent of all U.S. residential mortgage applications and has been conducted weekly since 1990. More here. According to the Mortgage Bankers Association’s Weekly Applications Survey, refinance activity fell last week as average mortgage rates increased. The Market Composite Index, which measures both refinance and purchase activity, fell 7.4 percent from the week before, largely due to a 9.0 percent drop in the Refinance Index. Purchase application volume, on the other hand, was up slightly, rising 0.9 percent. The average contract interest rate for 30-year fixed-rate mortgages with conforming loan balances moved up to 3.86 percent from 3.76 percent a week earlier. Still, mortgage rates remain near historic lows. Also in this week’s survey, the investor share of home purchase applications rose to 5.7 percent in the month of July and the share of purchase mortgages for second homes increased to 5.8 percent from 5.6 percent in June. More here and here. The Mortgage Bankers Association’s Weekly Applications Survey covers more than 75 percent of all retail residential mortgage applications. Last week, the survey found average contract interest rates for 30-year fixed-rate mortgages unchanged from the previous week at 3.76 percent. The average 30-year rate on jumbo loans decreased to 4.03 percent. But despite mortgage rates near record lows, the Market Composite Index, which measures total mortgage application volume, was down 4.5 percent. The drop was due to a 5.0 percent decline in the Refinance Index and a 2.0 percent dip in the Purchase Index. Still, the refinance share of total mortgage activity remained at 81 percent for the week. More here. RealtyTrac’s Year-End 2011 U.S. Foreclosure Market Report shows a total of 2,698,967 foreclosure filings in 2011, down 34 percent from 2010 and 33 percent below 2009′s totals. Foreclosure filings, which include default notices, scheduled auctions, and bank repossessions, were reported on 1,887,777 properties in 2011. Brandon Moore, chief executive officer of RealtyTrac, said 2011 saw a dramatic drop in foreclosure activity, due to a lack of clarity regarding documentation and legal issues. For the month of December, foreclosures dropped 9 percent from the month before and 20 percent from the previous year. December’s totals were the lowest since November 2007. Default notices were down 19 percent during the month. More here. Often cited as a key factor in the housing market’s recovery, the national unemployment rate continued to trend downward in December. 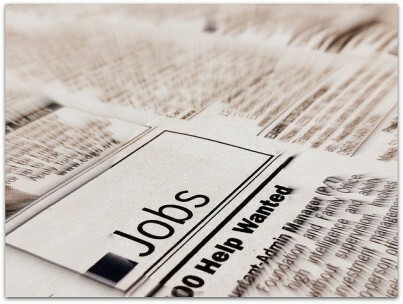 According to the U.S. Department of Labor, the unemployment rate fell to 8.5 percent as the economy added 200,000 jobs. The drop exceeded economists’ expectations and brought the percentage of jobless Americans to its lowest level in nearly three years. During 2011, 1.6 million nonfarm payroll jobs were added, while government employment dropped by 280,000 jobs. The national unemployment rate averaged 8.9 percent last year, falling from an average of 9.6 percent in 2010. More here and here.